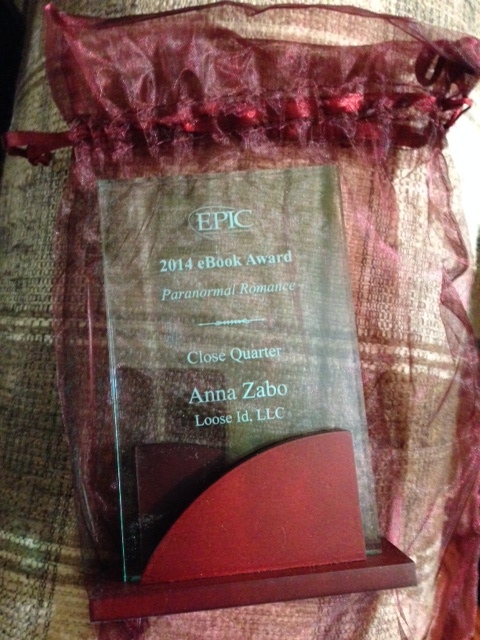 I am somewhat stunned to announce that Close Quarter has won the EPIC Award for Paranormal Romance for 2014. I was up against some pretty good compition, including my friend Tiffany Alle’s Don’t Bite the Bridesmaid, which strangely is also a paranormal romance with a vampire on a cruise ship…though her vampire is much much much nicer. In honor of the win, Loose Id is offering the book at 50% off on their site. They have every file type imaginable. 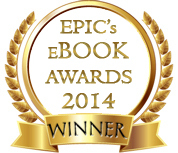 I still can’t quite believe it, but this arrived on my doorstep, so it must be true.